Today in the news there’s tears coming out of the PC camp as Batman Arkham Knight PC edition burned up in the atmosphere as its launch reached Earth. Also some Destiny stuff. Bungie has confirm that it will be releasing the extra content, originally restricted to the Playstation consoles once the Sony timed-exclusive expires later this year. This will bring a couple of extra strike missions and new exotic to the Xbox this Fall. The strike will include the original version and a new refreshed version included with The Taken King. I guess it’s coming soon? Rocksteady had acknowledged the problems with the PC release of Batman Arkham Knight, and stated that they’re working with the graphics teams and NVIDIA and AMD. AMD GPU’s can expect hitches and stuttering and for the game to be run off an SSD harddrive. No timeframe for the patch. Warner Bros has since suspended sales of the troubled PC game until the issues have resolved, and are pointing fans towards the Steam Return Policy if they’re upset and want a refund. I’ve nearly completed Badland and will have a review up shortly, and will be the feature of The Achievement of the Week, played in solo, and co-op, and I’m still playing The Crew and Splinter Cell Blacklist – Splinter Cell being wrapped up shortly as well. Fingers crossed. More on these tomorrow, plus a round up of all the games I’m playing. Yesterday I discussed a little more about E3 and some highlights from the show, notably Rise of the Tomb Raider, Metal Gear Solid V, Dues Ex Mankind Divided and Dishonored. I’ll be writing some of these over the weekend for next week. November 7th, I’ll be participating in a 24 hour video game marathon to raise money for the Children’s Hospital Network. The event is Extra Life. www.extra-life.org. I participated last year, and I’m happy to be doing it again. I stream the whole event through Twitch as well. I’ve included a link on the main bar as well to highlight the event. Tomorrow I’ll be going into more detail on my current queue of games, and discuss the reviews coming around the corner. 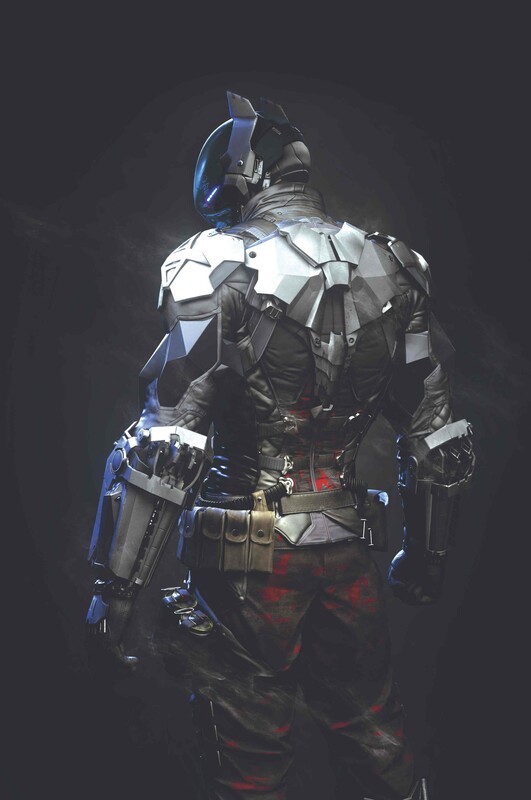 This entry was posted in News and tagged Arkham Knight, BADLAND, Batman, Bungie, Destiony, Games, Gaming, PC, Rocksteady, SplinterCell, Video Games, Warner Bros. Bookmark the permalink.